Some readers may recall a bit of the story behind the overtures made by Travancore to the Calicut Zamorin for support on final ploys against the British, and I had made a brief mention of it some years ago when I wrote about the Dalawa. What I wrote then was the following, summarizing the nexus between the Paliyath Achan and the Dalawa and their attempts to rope in the Zamorin. The Zamorins case had already been lost and the old suzerain was left high and dry by the British, with no power and a lot of debts. The bitter man was left in relative peace, to lick his wounds. The Pazhassi raja had been dealt with and Cochin was largely under control but Travancore was on the limb and the situation there was being stirred up nicely by an upstart Dalawa named Velayudhan Thampi. While all this intrigue and acrimony was going on between the British and Travancore, the situation at Cochin was no better. Here is when the Paliayth Achan comes into play. For those who are not in the know, the powerful Paliayth family were virtually half owners of Cochin and the Perumbadappu Swaroopam had to involve them in all major decisions. They possessed a lot of power and majority in Nair numbers. 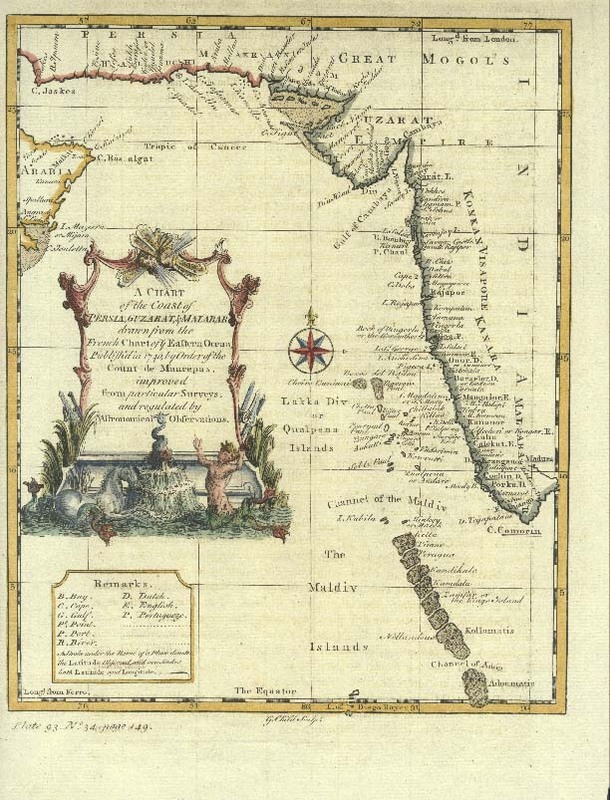 In some cases they hedged their bets by aligning with the Zamorin of Calicut against the Cochin king, the Dutch or the Portuguese as well, as we will study in a forthcoming article. Anyway, during the period we were in, the Paliyath Govindan Achan was made a chief minister with Velu Thampy’s recommendation. The Achan was also friendly with Macaulay, so the King had no hesitation in elevating the Achan to ensure harmony. The Paliyath Achan however usurped the King quickly and took over the reins of the state, banishing the soft king to a hamlet in Vellarappali near Alwaye. After this was done, he apparently executed the prime minister and commander in chief by drowning them. His next target was a young and upcoming chap, the right hand of the king, one Nadavarampathu Kunju Krishna Menon. The king, who was very fond of Menon, decided to shield him and hid him in his bedroom at Vellarapalli. Paliayth Achan on the other hand was hell bent on finding this boy and killing him. The king approached Macaulay for help. Macaulay gave Menon asylum in the British bungalow, further incensing the Paliyath Achan who took a vow to execute both Macaulay and Krishna Menon. But waging war against the British was no easy matter and the wily Achan decided to get the support of both the Zamorin of Calicut (the letter sent to the Zamorin was handed over to the British by the Zamorin’s minister) and Velu Thampi, in this matter. The CSM differs here in stating that the Achan was pulled into the fracas by Thampy. The details are provided by Thomas Warden in Ponnani, who was in cahoots with the Zamorin’s sarvadhikari. He forwards the letter (oath in ola) from Thampi with the statement that he had received them from the Zamorin’s minister who had received this and another from the Paliyat Achan, and that he will render any further information so received in the matter (One thing interested me, that Warden, the principal collector of Malabar was living in Ponnani? Something to check out another day). After usual compliments ... The state of affairs, here... That three of the company’s battalions with some Europeans have been stationary, two or three years at Quilon that it is in contemplation insidiously to secure this country without any sacrifice of war or treasure by exciting dissensions among the different subordinate Rajas and principal officers of the state and that having thus acquired the country under subjection it is ultimately designed that all persons without any distinction of caste shall in one and like manner acknowledge and observe their (the English) faith are passing occurrences which cannot be unknown to His highness the Zamorin. The demands now insisted upon me that all the inhabitants of this kingdom shall lay down their arms and obey their (Company's) orders that the high road charitable institutions and the Morejapam (Triennial festival) with all the ceremonies connected thereafter shall be discontinued that two tenths will be allowed for the maintenance and expenses of the rajah and that in case their demands should be refused, hostilities would commence and the country taken possession of. For this purpose besides those stationed there before, some additional troops have been landed at Quilon and every necessary preparation is on foot. To submit to such demands and give up the country, thereby quietly to witness the extinction which awaits the Bhramma Dhumma and the Kshetri (or temple) Dhumma and become one sect are terms which can never voluntarily be assented to at any-time Whatever being well assured therefore that all the raja’s most intimately concurred in the interests of this state will afford their assistance in such a course, each to the utmost power of his ability. It has been rendered to compel the Company's battalions to evacuate Quilon and that enmity with them shall again exist, accordingly the necessary means for war, have been prepared and hostilities commenced on the 26th of this month. Two attacks have been already made, within 8 days more the battalions will have evacuated Quilon. I shall then lose no time in proceeding to the northward with a part of the forces of this territory. If all now rise and unanimously act with one mind, there will be no need for continuing allegiance to Europeans or for renouncing the Jaady Dhtirnma (caste). Hence it behoves His Highness (the Zamorin) to do as follows: To summon the Nayars, the Moplahs, the Ministers and all the different chiefs and separately command them to assemble arms and act against the servants of the Company to whom no revenue should be paid but arrangements made for establishing other people to collect the revenues of the country. What is here proposed His Highness (the Zamorin) will no doubt undertaken to perform for in case any revolution should happen in quarter His Highness will find it very difficult to continue in his present condition. Inferring that the stipends allowed to the Malabar Rajas by government depends entirely on the Travancore continuing independent. Of the two original castes of Hindoos and Mussulmen, the long established charitable institution, religious rites and customs being once subverted both will be compelled to acknowledge and observe the faith of Christians and to pay them allegiance. His Highness the Zamorin has full reason to know if he will maturely consider the subject that such an event can only happen through want of unanimity and concord one with another. The subjects of the Perampadapill svarupam (Cochin) have found themselves unable any longer to continue dependent on their protection (Company's). All the inhabitants of the country therefore have assembled and through the Ministers of the country and by the will of the Rajah prepared, what is necessary for hostilities. A letter on this subject for the information of His Highness (the Zamorin) will be sent in the name of Paliyat Accan. All that is herein contained the Tynencherry Eleadu will read and make known to His Highness the Samooripad. The written communication of the DALAVA TOMBY VELAYUDHEN CEMPAKARAMAN in the year 984 on the 29th Dhanoo. An analysis of the letter shows that the Dewan of Travancore was trying to stoke fears of mass conversions to Christianity by the British. What is also apparent is the Dewan’s fear that these converted Christians would lend support to the British. How did this come about? Hindus being overwhelmed. Was it a ploy or was it something else? To understand that we have to see how matters came to a head. As you recall, after the arrival of Haider and Tippu in Malabr, the religious balance in Malabar had been upset with a number of forcible conversions to Islam and the secular Zamorin had virtually lost his Moplah ally and was trampled upon by the combined forces of the Sultans of Mysore. A flight of many upper class land owning Nairs and Nampoothiris to Travancore took place in those years and many a Hindu felt threatened. Later after Tipu lost to the British, a semblance of peace came about in Malabar with the British in control, and the pensioned off Zamorin became more of a leader of the Hindus of Malabar, while the Moplahs were viewed with relative suspicion due to the fact that they sided with the invading Mysore sultan, in the name of religion. Did Veluthampi plan to use this lever or religion to tilt the Zamroin’s mind? Another issue the Dalawah had to consider was the previous Travancore threat to overrun the Zamorin at Calicut in 1762 with the forces led by D’Lannoy. At that time, the Zamorin rushed to Travancore and sued for peace, signing a treaty with the Travancore Raja, agreeing to pay reparation and giving up his claims to areas around Trichur and Cochin. The Zamorin perhaps could not foretell that at the same time the Travancore forces were being pressured by an attack from the Mysore forces through the South eastern passes and in 1788 the Travancore rajahs signed a protection treaty with the British. The Dewan thus figured out that the only method he could try to get some support from the Zamorin against the British was by bringing up the conversion issue. The problem started with the protests of the Shanars / Nadars around Tirunelveli, that they were being oppressed by the caste Nairs and Brahmins of Travancore. The LMS or the London missionary society focused their attention on the Nadars, aiming to emancipate them from their situation. 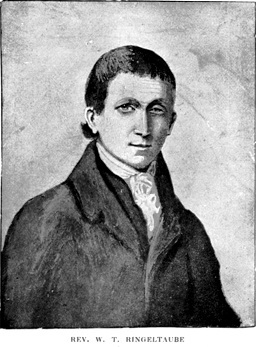 One of the first missionaries was a Prussian, one Rev William Tobias Ringeltaube who arrived at Tharangampadi (Tanquebar). At this juncture an early convert Vedamanickam from Mailadi in Cape Comorin approached him for missionary support in Travancore. Problems at Tirunelveli forced Ringeltaube to move to Palayamkottai to jump-start his evangelistic work with the mission there. That is when he was exposed to the issues brought to him by the Nadars. Eventually he decided to move to Mailadi and he applied for permission to Colin Macaulay, the British resident at Cochin to build a church at Mailadi. Col Macaulay agreed to get him the lands and permission from the king, in order that a church be constructed and so that Ringeltaube in his own words ‘could meet with speedy success, for there behold the fields were white for harvest”. It was during the return that Ringeltaube met Dewan Velu Thampi at Quilon to discuss the sanctions for the church. The Dewan refused permission stating that it went against established customs of his land and soon enough the Hindu opposition rose in volume as Ringeltaube tried to force the issue. Dr Claudius Buchanan was deputed to study the conditions and he took the case directly to the Travancore rajah, sidestepping the Dewan. The rajah too expressed his reservation stating that the English could increase control over the country if they forced their religion on the masses. Dejected, Ringeltaube left Mailadi and went back to Palyamkottah. The British resident Macaulay felt hugely insulted. Veluthampi too felt belittled by the minority Christian converts of Mailadi. On top of all this Mathu Tarakan used religion to further infuriate Macaulay and force him to take action against Veluthampi. As this fracas was going on, Ringeltaube came back to Mailadi and baptized 40 persons of the locality while Vedamanickam converted a portion of his house to a chapel for the services. It was at this juncture that Veluthambi decided to oppose the resident at Cochin with force and vented his anger on the converts at Mailadi and Rigeltaube who fled their village. I had detailed the events which followed in a previous article, linked here. After Veluthampi’s demise, a church was built at Mailadi and as is recorded by Yesudas, wonderful strides were made in the spreading of the gospel and several conversions followed. As you can see, Veluthampi was truly of the belief that the missionaries would convert many of the lower echelons of society and while it was just one the fears he had, he knew this cause would resonate in Cochin and Malabar where Tipu and Hyder had wreaked havoc with forced conversions. What happened to the letter which was sent to the Zamorin and copied to his minister? Well, that minister was none other than Shamnath or Swaminatha Pattar who was in cahoots with the British. He handed over the document to the British, promptly. 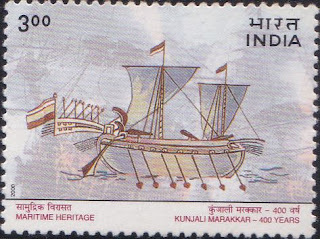 That the Zamorin and the Cochin raja had no real possibility to rise up in revolt against the British should have been clear to the person who raised the call, for three reasons. First the fact that the Dewan was just that, he himself was no more than a deputy to the King of Travancore and not the sovereign himself. If the call had been sent by the Rajah of Travancore, it might have elicited or for that matter merited some response. 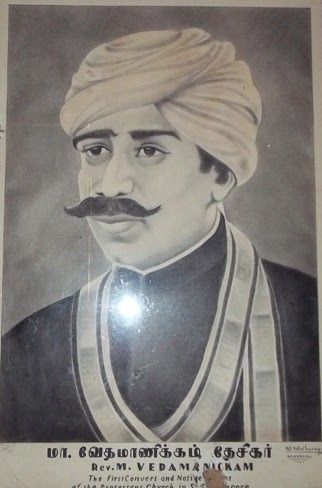 The second reason was that the Ravi Varma’s of Padinjare Kovilakom, the only princes who may have risen up in revolt against the British had already been quietened or done away with by the EIC around 1797. Thirdly the Zamorin no longer exercised suzerainty over the many Naduvazhi’s of Malabar nor enjoyed the once unequaled over-lordship over the many thousands of Nayars or Moplahs who once fought for him. Perhaps those were the reasons why the pensioned off Zamorin of Calicut disregarded the letter from the Dalawa. The kind of meticulous work that goes on your blog is incomparable. Was not aware of the intricate extents of the Paliath powerhouse of then. I am sure others may have told you the same, but shouldn't you aim for a book at this stage if you're not into it already, that is? A book wouldn't be for your fame as I don't think that holds much importance for you, but more towards keeping your historical readings under one concise umbrella for continuity of thought and further reader-research engagement. Yes, a book is hard work even in terms of formatting and citing etc. But as an academic, I believe if you can strive towards documenting so much on your blog over such a sustained period of time, you should surely consider compiling and developing these posts into a book. Thankyou again for the fine post. I have plans to do what you suggested, in fact have been planning for some time. I have a few things to take care of and then I will go about making these collections!! Thank you for your support and glad that you enjoyed this!